This one came out much better than I'd ever hoped! Tools used: Photoshop, Hard Brush tool, Smudge tool, Eraser tool. Process: I just played around with layer modes at first and due to a happy accident using the lens flare filter, I somehow got the idea of this wall. Oh and also applied some random filter on Ryu image.. I tried to paint with hard brush this time instead of using smudge tool completely as I usually do. Everything except the Ryu image is painted. 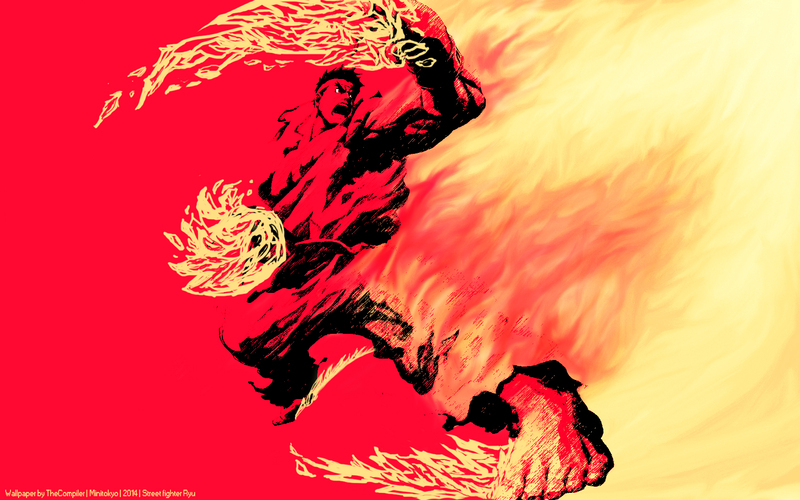 The fire on left was much easy and fun to draw as compared to the fire drawn on left... that one was hell... it's so difficult to draw using mouse and hard brush. Browse Street Fighter x Tekken Gallery: Recent | Popular.